Maithripala Sirisena took away the central bank, the policy-making National Operations Room and several other institutions from the control of Wickremesinghe, who had held them since coming to power in January 2015. Maithripala Sirisena appointed a special inquiry which cleared Wickremesinghe of any wrongdoing. 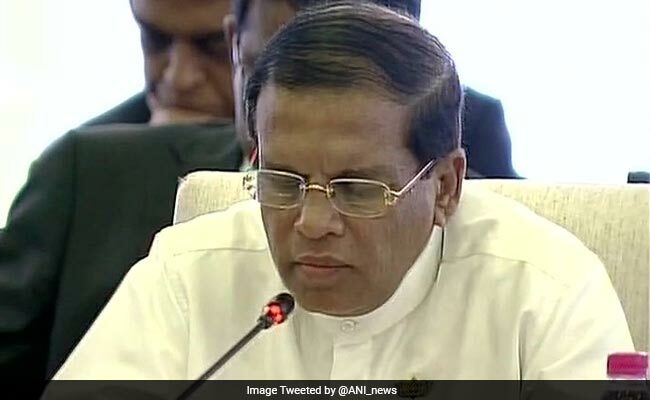 Colombo: Sri Lankan President Maithripala Sirisena Wednesday reduced the responsibilities of Prime Minister Ranil Wickremesinghe as a power struggle worsened within their uneasy coalition. Sirisena took away the central bank, the policy-making National Operations Room and several other institutions from the control of Wickremesinghe, who had held them since coming to power in January 2015. The changes were published in a government gazette notice issued Wednesday which transferred the responsibilities to Finance Minister Mangala Samaraweera. There was no official explanation for why the Central Bank of Sri Lanka had been taken away from the prime minister's control. In 2015 a central bank governor appointed by Wickremesinghe, Arjuna Mahendran, was accused of insider trading. Sirisena appointed a special inquiry which cleared Wickremesinghe of any wrongdoing. But Mahendran was held responsible for passing sensitive information to his bond-dealer son-in-law Arjun Aloysius to make $75 million in undue profits. Sirisena joined hands with Wickremesinghe's United National Party (UNP) to oust strongman president Mahinda Rajapakse in January 2015 after a decade in power. But since then their alliance has fractured, with Sirisena clashing with free-market champion Wickremesinghe over economic policy. Relations worsened further after their coalition did badly in local government elections last month. The president blamed the premier for their electoral setbacks. Earlier this year, Sirisena publicly lambasted Wickremesinghe and his UNP, saying they had mismanaged the economy. Sirisena said the current government was also more corrupt than the former regime they toppled together. A section within Sirisena's party supports a no-confidence move against Wickremesinghe slated for April 4. However, the UNP is the largest single party in the 225-member assembly and commands a comfortable majority with the help of allies. The premier could be brought down only if Sirisena can unite his own fractured Sri Lanka Freedom Party and engineer defections from Wickremesinghe's UNP. Tensions between the coalition partners have also escalated over Sirisena's attempts to extend his presidential term by one more year till 2021, a move that was rejected by the Supreme Court earlier this year. The UNP has suggested that it may go it alone at the next general election in 2020. Presidential powers to sack the government and call early elections were removed through a constitutional amendment introduced in the early days of the Sirisena-Wickremesinghe coalition.